If you are in search of simple heat to add to your home here it is! 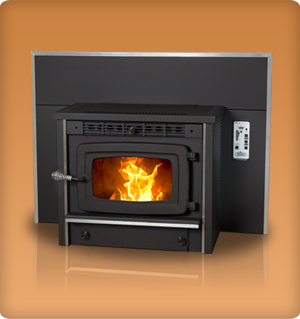 The Kozi Xl 100 insert is self-igniting and great source of heat. it can cover around 1,800 sq.ft. at a 40,000BTU rating. The hopper can hold 40lbs to 50lbs of pellets. This simply a great addition to any fireplace and can help cut cost of oil and propane fueled furnaces!